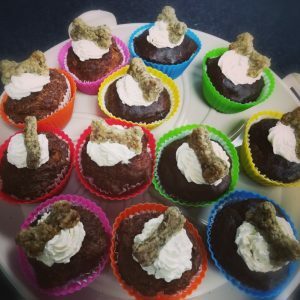 Can’t decide which pupcake to go for? Or having guests with different needs? This option is for you! Choose which 4 pupcakes you want from the 3 varieties available. Once the freshly baked cake has cooled, I decorate it with cream cheese frosting and top it with a bone shaped, homemade sardine oatcake. A wonderful way to celebrate a special occasion. 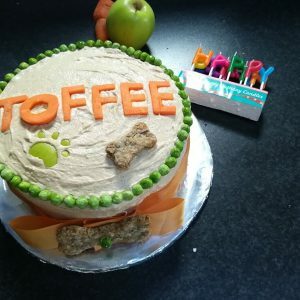 Every cake is handmade! Handmade from preparation & decorating to packaging by myself – no outsourcing. So ensuring the highest quality product is hand delivered by myself fresh to your door. Although I test all my treats, they are not made with human taste in mind. Contact me for any special dietary requirements. 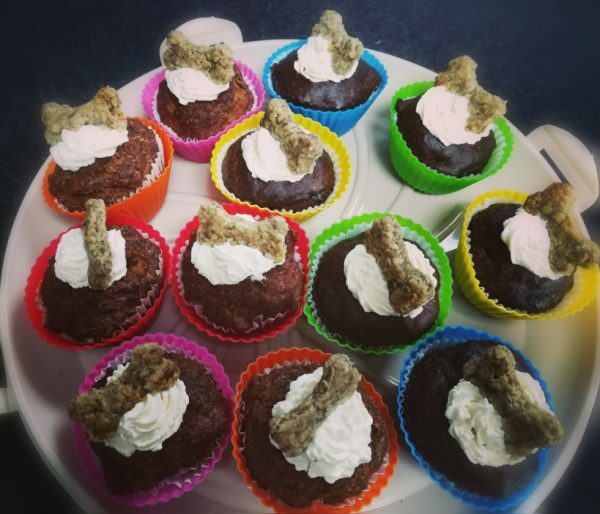 Steak&Kidney pupcake: minced beef steak, kidney, eggs, wholemeal flour, self raising flour, cream cheese, oats, sardines, water, milk. Livercake pupcake: liver, eggs, wholemeal flour, cream cheese, oats, sardines, water, milk. Allergy information: This cake contains nuts. Not suitable for lactose intolerant dogs.